Last month I attended BlogOn MOSI in Manchester, a conference run by a blogger for bloggers. The goody bags are immense and in them I found these little gems from Skin Doctors. I am one for skincare product randomness and so I did do a little shriek when I saw them. I am not quite at the needing a lift stage but I still tried them out. I was pretty surprised that they did in fact make my skin feel tighter and the instant face lift makes the perfect primer for under my foundation. Whether you’re a busy mum, workaholic or party-goer, rushing around can really take its toll on your skin: lack of sleep can leave you with puffy eyes and dull skin, not to mention feeling like there is nothing you can do about it. 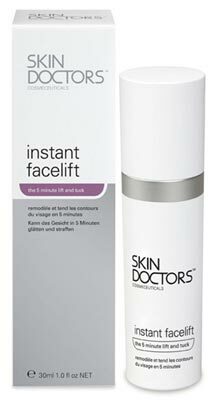 Skin Doctors is here to help! We have developed an Instant solution that is simple to use and really works. If you think that you don’t have the time to look after your skin and achieve a flawless finish when you’re in a hurry, think again. Lift, firm and smooth tired and sagging skin to look years younger and fresher instantly with Skin Doctors Instant FaceliftTM. Described by many as a ‘miracle in a bottle’ it is specially formulated to instantly improve skin firmness, puffiness and diminish fine lines and wrinkles for up to 12 hours. Even if you don’t feel energised, your skin will. Just apply this serum before your moisturiser and make- up to feel an instant tightening effect without the need for costly cosmetic procedures or needles. RRP £30.60 (30ml). Shhh — it's our little secret. People have told us this product is eight hours of sleep in a pot and we couldn't agree more. The Skin Doctors Instant EyeliftTM will help you wave goodbye to dark eye circles, puffiness and bags in an instant, leaving you looking like you’ve had a peaceful night’s sleep- even if you haven’t! 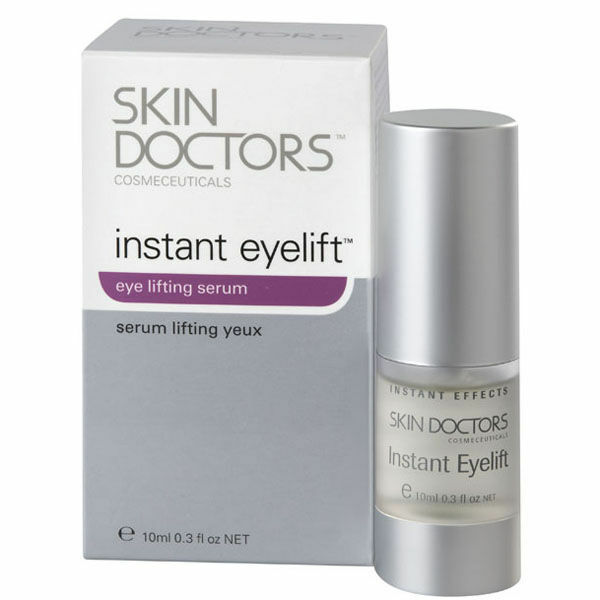 The key ingredient in this eye lifting treat is Serum Albumin – an antioxidant that protects the skin around the eyes from free radical damage and acts as a temporary ‘lift’ by smoothing visible wrinkles with an invisible tightening film. RRP £20.40 (10ml).